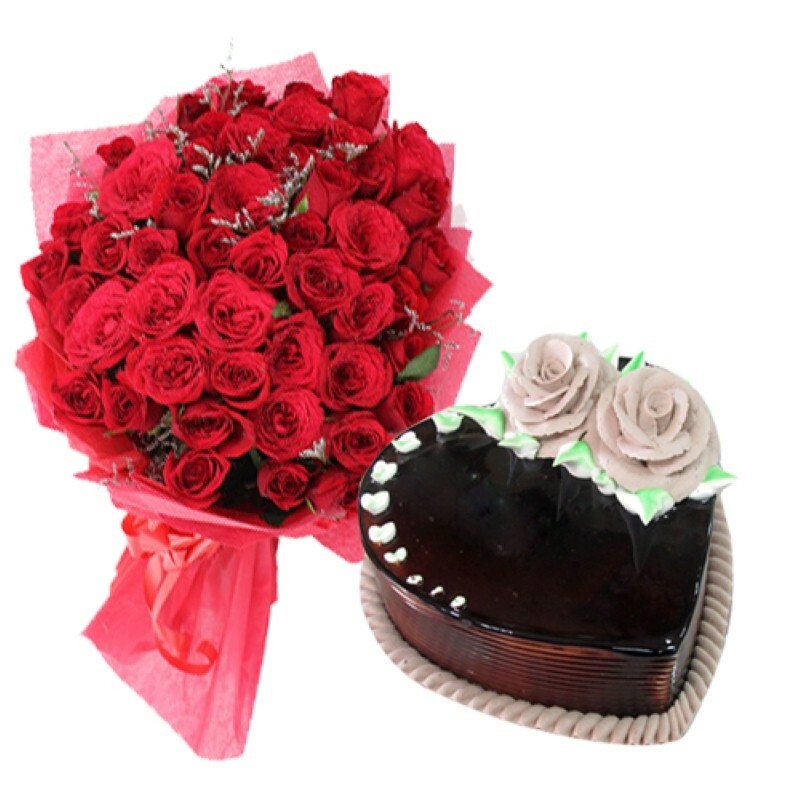 Product Consist : Bunch of 30 Red Roses along with 1.5 Kg Eggless Heart Shape Chocolate Cake. 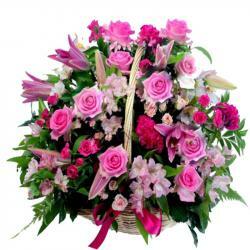 Add opulence of love and affection to your special one life with this lovely gift hamper. It comes with a Delicious Chocolate Heart shape Cake filled with yummy rich flavor of coco this is perfect gift for everlasting love treat. 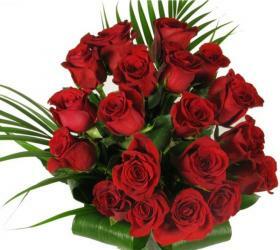 Red roses will add extra happiness with romantic ambiance . 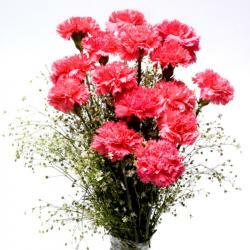 This will be a tempting, sumptuous and heartwarming gift on occasion like Valentines day also send this gift hamper along with other Gifts to India through Giftacrossindia.com. 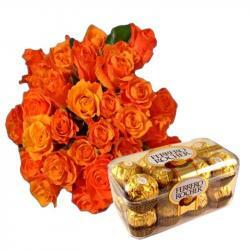 This gift hamper Includes: Bunch of 30 Red Roses along with 1.5 Kg Eggless Heart Shape Chocolate Cake.